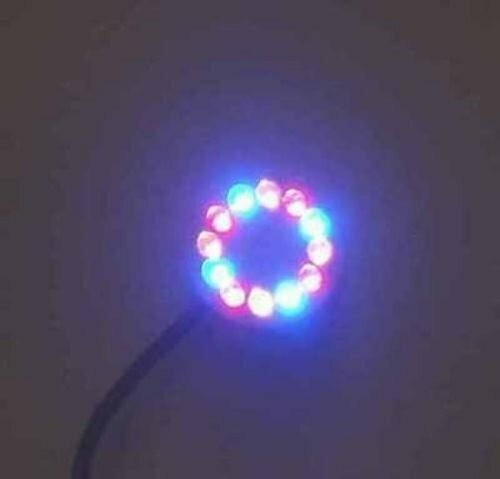 A very bright submersible light ring with 12 LED diode bulbs that automatically change from Red to Blue to Green light. Ring inside diameter: 5/8" Ring outside diameter: 1 5/16" Ring thickness: 5/8" Outdoor/indoor 6 watt UL transformer is included. Submersible cord length is 33', cord leads out from the bottom of the ring. Note: This LED light ring can be used in or out of water! It has a 1 year warranty. Great for tight spaces - inside ring diameter measures: 5/8"